Listeners of all ages and walks of life have drawn inspiration from Elizabeth Gilbert's books for years. 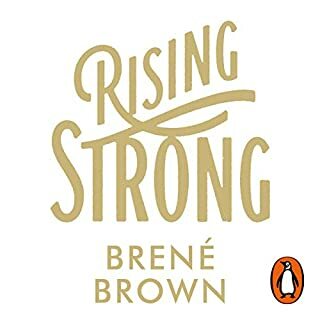 Now this beloved author shares her wisdom and unique understanding of creativity, shattering the perceptions of mystery and suffering that surround the process and showing us all just how easy it can be. 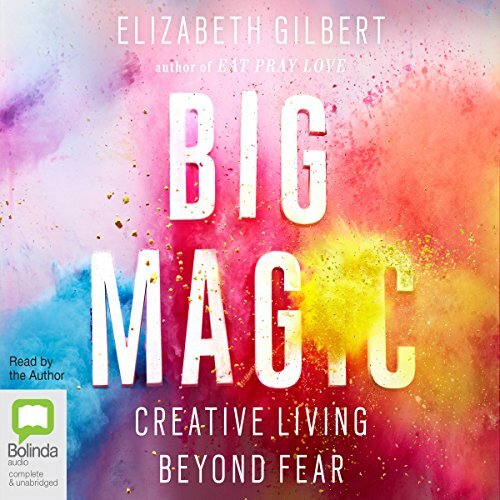 By sharing stories from her own life as well as from her friends and the people who have inspired her, Elizabeth Gilbert challenges us to embrace our curiosity, tackle what we most love and face down what we most fear. 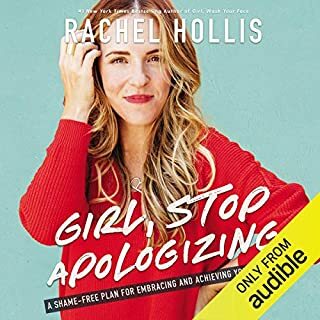 I will listen to this book over and over again! How did she see inside me? Outstanding, inspirational and deeply motivating. Welcome back creativity, you dear old friend! 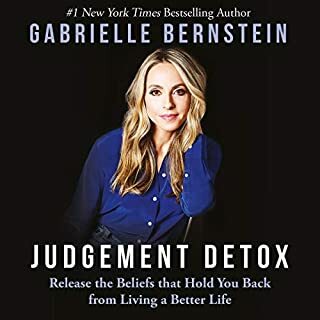 This is the best audio book I've listened to so far. 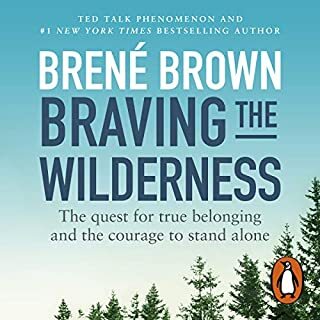 Incredibly well written and beautifully read, relevant to anyone undergoing a stagnant creative rut or in my case, in need of courage to express myself fearlessly. Years of unanswered questions answered! I've always been a creative person driven by inspiration & passion but never understood why I couldn't hold those feelings all the time or why when I stopping creating I'd feel like life had no meaning. 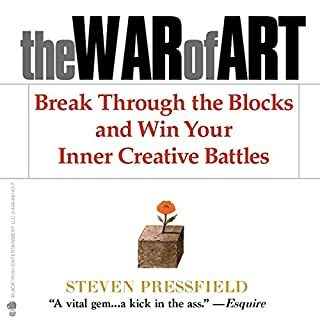 This book explains all this & has helped me immensely in understanding how I work inside & what I have gone through as a creative person is normal! This book answers so many unanswered questions - a new ago of personal develop is revealed in this book. Am so grateful to have read it! 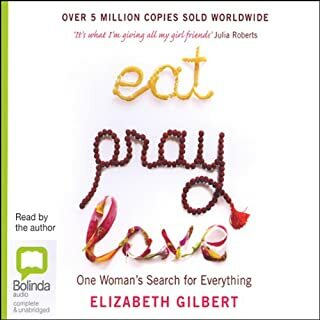 Somehow missed the whole Eat Pray Love phenomenon, so when I finished The Signature of All Things (which I loved) I got a big surprise when I followed up on Elizabeth Gilbert. 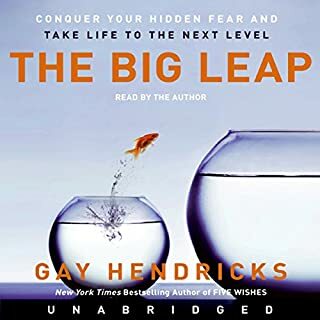 This may be why I ended up with Big Magic after searching for a completely different Audible book, and I'm tremendously grateful. I work in IT and haven't had an inclination to do anything creative since I had to do art at school. This book has inspired me in such a profound way that I'm now savouring and enjoying life like never before. The tidbits about The Signature of All Things were also a bonus for me, because I completely lost myself in that wonderful story. I loved it. 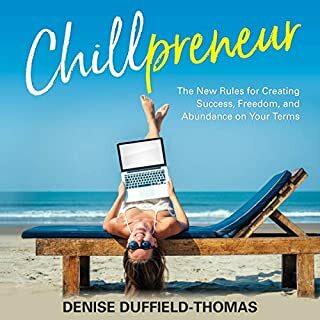 Unlike some books on creativity, it's not preachy and doesn't scold, more like having a conversation with a compassionate mentor. Not all authors can or should narrate their own work, but Liz Gilbert does a wonderful job . I was terribly disappointed when i realized I'd finished it as i could have happily listened for another few hours, and will definitely be going back for a re-read. Thanks Liz for talking directly to me with this sublime book.. Or so it seemed:) Sweets for soul which resonated so deadly. Big Magic is pure magic. A great listen. Encouraging all of us to be our creative selves free from the anxiety of perfectionism and criticism. Thanks Elizabeth. Outstanding, insightful, helpful, beautiful voice. Loved it. I didn't want it to end. Beautifully spoken. Helpful, self worth restoring, brilliantly nurturing. Inspired me to do something I never thought I'd do. Easy to listen to & her retell of stories past were very enjoyable. 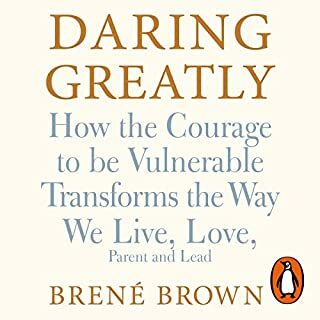 Inspiring and wonderfully motivating book. Loved every bit and learnt how creativity can change our life if only we can muster the courage to follow the sign. Expand your deeper meaning of Creativity. Elizabeth brings in her own opinions on creativity and how/why not to stop this process. She connects each of her theory with an story that gets sketched into your mind forever. Enjoyed listening to it and I might listen to it again and again. Be you... Or at least give yourself a chance... Or maybe two... or as many as you wish. There is no limit...! a really nice book... can change your way to see the world differently really a inspiring book..I rally like it..! This book was recommended by Pick Up Limes blogger. It is truly a book that worths your time. 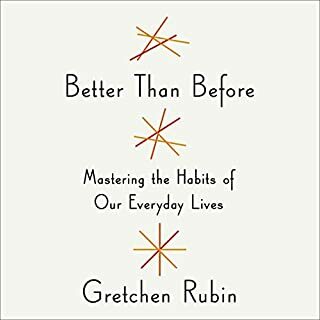 The most brilliant book on creative living! Absolutely lovely concept. I have read a lot of motivational books but no one could pin point the aspects of passion and creativity that I had struggled to resolve. Elizabeth Gilbert has decoded the way to live an fulfilling creative life and I couldn't agree with her more. This book happened to me at the time when I was struggling to find direction to all the goals I have. Elizabeth's narration was so reassuring of all the ideas that the book presented it was almost as if I was listening to a friend help me out. A must read (listen in this case!) for all the creative heads out there! It's a beautiful Reminder to let creativity thrive n flourish along with the mundane moments of routine. A reminder to nurture the creative self without carving a niche for the burdensome expectation of perfection!! Once I finished this book, I got a completely different perspective towards life and towards creativity. Most importantly...I found my purpose. This book is a must read for all those creative people who are struggling to be themselves. This book had freed my mind of all the brules that I had believed till now. 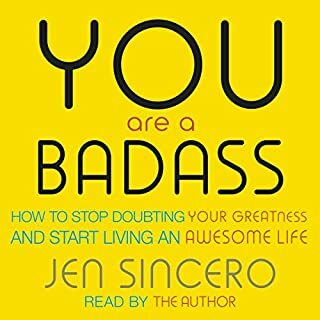 Great listen especially if you are struggling to self motivate or having trouble believing in your own self worth. Will listen to this audio book again and be seeking out other books by this author. There's just something wonderful about Liz Gilbert. This was my first encounter with her writings having initially dismissed Eat. Pray. Love. as (and I know I'll get stick for this) "a bit too girly". However, discovering her at Big Magic is an excellent, hype free (relatively) way to engage with her writings. I've found them pretty inspirational and am currently writing a business plan for an arts project I'd always dreamed about. Whether it's a success or not will be anyone's guess, but I'm more comfortable with fear being along for the trip as a result of this book. It's allowed me to accept that you need to take risks to be happy when you live a creative life. Having the book read by Liz really enhances the overall experience, after all, who better to perform the piece than the person who wrote it? 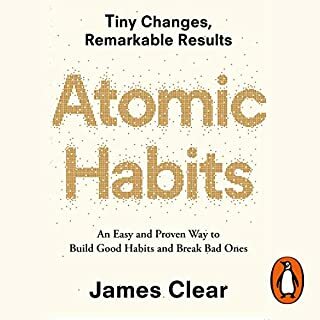 In short, listen to this book. It has the potential to be life changing! What made the experience of listening to Big Magic the most enjoyable? 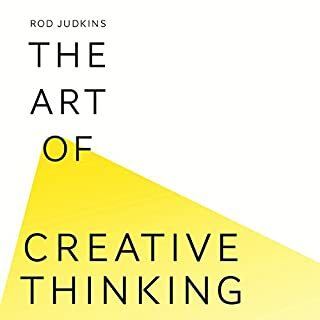 It's a great book - super inspiring and helpful in uncovering lost or dormant creativity. Gilbert is also a fabulous narrator - makes you feel as if she's speaking straight to you! Couldn't "put it down", as it were. This book illustrates a very freeing attitude towards aspects of life and encouraged me to look deeper within myself. Very inspiring words. loved big magic. 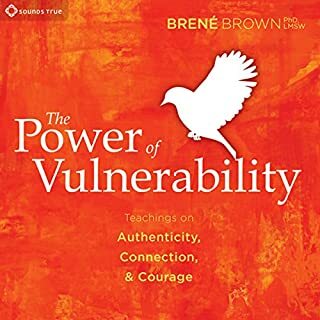 I'd listened to the podcasts beforehand and knew that I needed this book! Absolutely loved this audio book, I listened to it all in just two days I was addicted and quite sad it had to end. 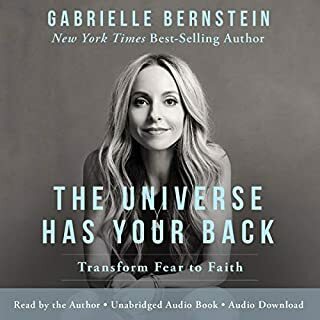 She tells inspirational stories from her own life and others in a very lighthearted way and she had me belly laughing at somethings... As soon as i finished listening to this, I signed a contract with inspiration when she came knocking (you will have to read to know what I mean) Definitely recommend this book to anyone who struggles to get their creative juices flowing and experiences mind block from time to time. She just tell it as it is! 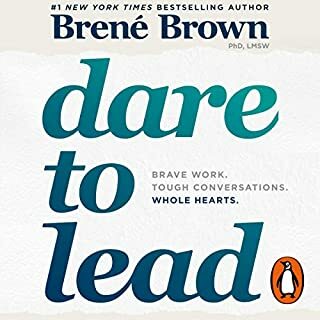 I ve listened to the audio book several times - it's like a friend sharing her experiences with me... loved it! A marvel, soon to be classic! A fantastic line narrated by the author. Captivating, smooth, smart and inspiring. Would recommend to everyone to read at least once. Recommended to all my students! 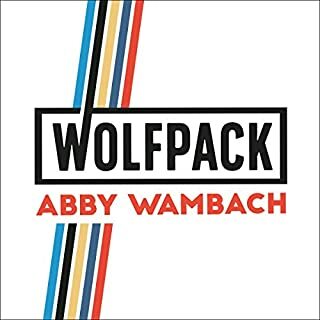 A courageous author and self narrated. Worth more than one listen!